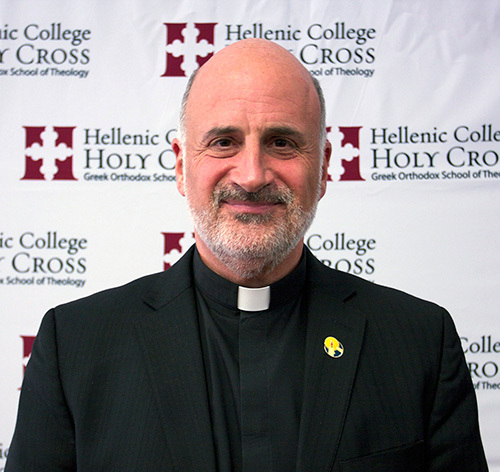 Following a rigorous search process that began in October 2014, the Board of Trustees of Hellenic College and Holy Cross Greek Orthodox School of Theology (HCHC) on, May 1, 2015, voted unanimously to elect the V. Rev. Fr. Christopher T. Metropulos as the next president of the institution, in succession of the current president, the V. Rev. Fr. Nicholas C. Triantafilou, who after a fifteen-year tenure will retire at the end of June 2015. This entry was posted in Featured News, News and tagged Greek Orthodox, HCHC, Hellenic College, Holy Cross, PSC by Orthodoxy Cognate PAGE. Bookmark the permalink.